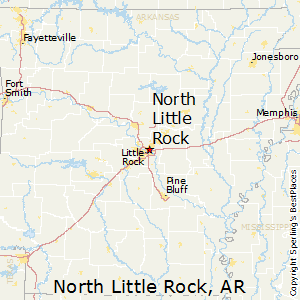 North Little Rock, Arkansas is associated with friendly citizens and peaceful surroundings, a dark force-drug addiction, continues to plague the lives of many in the community. The production, abuse, and distribution of illegal drugs pose a grave threat to Arkansas with Little Rock being the major market area within the state while serving as a transit point for drugs being moved to different states. Worse still, the country’s negative attitude on addiction makes it hard for addicts to seek treatment. With an estimated population of 66, 278, the smuggling of drugs such as methamphetamine, marijuana, and cocaine occur regularly in the city and distribution occurs throughout the rest of Arkansas. Nevertheless, the residents of North Little Rock, Arkansas can access different treatment centers and options such as the residential programs, which offer the most intensive care for those who require more medical supervision. Another option is the Partial Hospitalization Program or PHP, which allows patients to return home after spending 6-8 hours in the facility throughout the day. Lastly, patients can opt for the outpatient program as well. The issue of substance abuse in this state is one that continues to grow over time. Actually, Little Rock has become a primary destination for meth produced in California, Mexico, and southwestern states. Although the state has one of the lowest rates of prescription drug abuse in the country, other substances such as meth are causing issues. The drug is a principal threat to the state, mainly because of its ready availability coupled with the environmental harm and violence that frequently result from the drug’s abuse and production. According to the National Drug Intelligence Center, meth made by Mexican criminal groups in California, Mexico, and southwestern states are broadly accessible in Arkansas. Reports further reveal that the production of meth in Arkansas, commonly by Caucasian local producers is available as well. The primary wholesale distributors and transporters of the meth manufactured in California, Mexico, and southwestern states are Mexican criminal groups while local autonomous producers regulate the distribution and transportation of the Meth they manufacture within the state. When it comes to transportation, the criminal groups frequently hire couriers to transport the drug to Arkansas. The same criminal groups often recruit Hispanic migrants, mostly Mexican nationals who have moved to the state with the aim of seeking employment in the poultry industry. They employ African Americans and Caucasians as well but to a lesser degree. In 2014, statistics reveal that Arkansas was among the states with the most meth-related arrests, behind Nevada and 8 others throughout the nation. Throughout 2014, the state witnessed over 100 arrests in terms of meth development, possession, and distribution. It’s estimated that 10-20 meth labs are situated throughout the state, which compounds the issue. Interestingly, nearly ¾’s of the arrests that take place with Arkansas’s property crimes are associated with meth issues, indicating how commonplace it has become. The synthetic drug is extremely dangerous and causes deaths, especially for persons who ingest the drug from poorly manufactured batches. The local production of methamphetamine doesn’t occur in quantities huge enough to sustain wholesale distribution. However, retail distribution in Arkansas usually occurs in parking lots, residences, or business establishments, for instance, bars and taverns. Generally, retail sales involve small quantities such as eight-ounce or gram quantities. When sold at the retail level, the drug is often packaged in plastic bags. For North Little Rock, Arkansas residents with alcohol or drug addiction, several treatment options exist. However, if you’re looking into the facilities, the first thing you should do is obtain information on the various treatment programs that are available. The rehabilitation centers in Arkansas integrate various techniques for treating substance abuse, including Bible-focused and Christian programs, teen programs, and those that employ suboxone to alleviate the painful process of withdrawal. While numerous kinds of drug treatment exist in the state, most feel that residential treatment programs are the most efficient. The benefit of inpatient programs is that the addict can’t access any alcohol or drugs while in the program. It’s important to note that various kinds of residential programs exist and the addict must decide between the long or short-term program. Although the long-term programs typically record the most success rates, they aren’t for everyone. After all, the programs, which can last numerous months, are quite expensive. The more popular option is the short-term program, which typically lasts approximately a month and a rigorous outpatient counseling should follow. What the addicts gain from the program is dependent on the kind of program they choose. For short-term programs, addicts gain some fundamental knowledge on how and why they became drug addicts and some life skills that will help them shun drugs after leaving the program. On the other hand, long-term plans are not only extensive but also equip the addicts with skills for rebuilding their lives. The person might even come out with occupation skills, a better view of how his or her addiction affected his or her loved ones along with ways to avoid the triggers that could cause relapse; this is dependent on the program. Recovery from substance abuse can be a complex situation. Therefore, leaving your hometown and seeking treatment in another location can help. In North Little Rock’s case, the excellent urban setting and beautiful weather make it a good option for transitioning or helping a loved one with recovery. The huge urban area has treatment programs accessible for persons who wish to recover from addiction. Here, the recovery centers provide treatment and may be suitable for persons with a strict budget. The program provides outpatient care, residential treatments, and community housing for transitioning from a residential program. Treatments can comprise family therapy, counseling, and suitable treatments for co-occurring disorders. The programs also comprise a wide array of phases, irrespective of whether it’s necessary to help someone overcome a behavior addiction or physiological dependence. When it comes to drug or alcohol abuse, a detox period is often necessary and a therapy program typically follows thereafter. If narcotics reliance is affecting your personal and professional life negatively, North Little Rock has a wide range of programs to help a relative or you. In most instances, being involved with addiction treatment offers the best odds for long-term recovery. Remember, most people who become addicts don’t desire addiction. In fact, they can’t stop on their own without proficient rehabilitation. Several of the centers offering 60-120 day programs, will allow health insurance, which offsets specific treatment costs. This can comprise Medicaid and Medicare, together with other state insurance providers. For families that may lack insurance, low-cost and free programs are available. Call us today if you have any questions about this. We have access to multiple treatment centers and financial assistance is available. In this stage, addicts undergo screening before entering treatment. This stage will determine whether the program is appropriate for the person. Generally, this starts with the initial call the person makes to the facility. Here, the person can obtain a good understanding of the facility and the processes they apply. This process establishes whether a particular center is suitable for you and vice versa. The stage involves posing questions you consider important to the center. The center will ask you some questions as well and may request you to undergo some screenings or diagnostic tests to establish how the program can tailor its plan. The goal of this stage is making the person as comfortable as possible and while there are no FDA-approved medications for methamphetamine addiction, alternative treatments exist to aid with withdrawal symptoms. The severity of this process differs according to factors such as the person’s unique metabolism and body composition, the duration during which the person has taken the drug, and the involvement of other addictions. This program places addicts into a facility that provides 24/7 care from personnel. It helps eradicate stress by removing the person from temptation and possible relapse. This program is suitable for persons who have long-standing addictions or simultaneous medical or mental conditions. This form of treatment may take place at a hospital or residential facility located outside of a hospital setting. These programs resemble inpatient except the person can return home every night after treatment. It’s a good option if the person has short-lived or mild addictions. Click here to see the differences of inpatient vs. outpatient treatment. The clinician can prescribe different lengths of aftercare, depending on the person’s needs upon completing initial treatment. The patient should follow this plan carefully to prevent relapse. It’s important to note that aftercare options differ, and it may take some research to establish the one that suits your needs. This refers to a safe place to go once you’ve completed a rehab program successfully. Here, you’ll find the structure and support you require to remain healthy and grounded. To begin with, drug charges can occur for possessing, manufacturing, delivering, or possessing with the intention of delivering among other things. Possession can be constructive or actual. Actual possession is when a person has contraband in their pocket while constructive possession is when the person isn’t linked directly to the contraband but can exercise control or dominion. On the other hand, delivery is the constructive, actual, or attempted transfer of a controlled or counterfeit substance from one person to another in return for money or anything valuable. Lastly, the manufacture comprises the production, preparation, propagation, compounding, or processing a controlled substance, which includes cooking, cultivating, cutting, and packaging controlled substances. When discussing two possible drug charges, you must consider two major issues. The first is the cumulative amount of the controlled substance while the second is the schedule under which the controlled substance falls. Obviously higher possible penalties exist for large quantities of drugs just as harsher possible penalties exist for highly addictive drugs. For instance, a small quantity of marijuana typically classifies as a misdemeanor while even as little as 2 grams of Meth falls under class D felony in the state. The state is responsible for promulgating the schedule of controlled substances and outlining the different groups of these substances. Schedule I represents substances with a high abuse potential. Substances in this schedule include heroin, LSD, and ecstasy. The substances in schedule II have a high abuse potential as well but have a presently accepted medicinal use and abuse may result in severe physical or psychic dependence. The number of meth labs has increased in the United States and Arkansas is no exception. In fact, these labs are prevalent here. The production of the drug is on the rise since it’s easy to build small labs in people’s homes, making it hard to detect the location of each lab. Furthermore, the drug comprises common household products, at times even natural ones. A wide range of producing meth exists, so it’s difficult to regulate their sale. Meth addicts frequently commit other crimes to sustain their habit, for instance, robbery or burglary. Therefore, it isn’t unusual for them to carry out grand larceny whereby they commit the crimes while in the possession of a gun. It’s also important to bear in mind that the drug is toxic, so the location of the labs become very hazardous. The drug is also very explosive and frequently produces severe fires, which may take out a whole neighborhood. Penalties for meth-linked crimes depend on the quantity of the seized drug during the time of arrest. The sentences for these crimes in Arkansas can range from 3-40 years imprisonment depending on the crime’s severity. For instance, possessing less than 2g is subject to 3-10 years imprisonment and up to $10,000 in fine. Of course, the punishment increases in severity when charged with manufacturing meth, manufacturing it in the presence of children, and distributing it to minors.